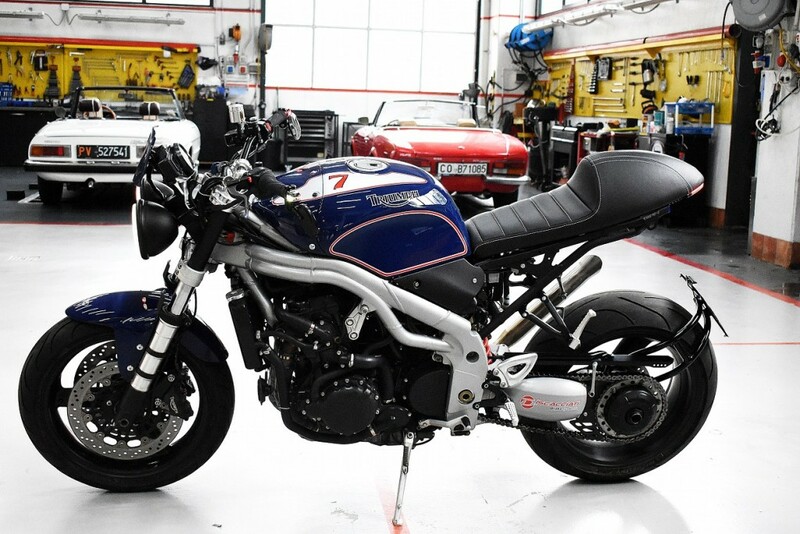 The mid-2000s Triumph Speed Triple is one of our favorite machines, a 140-hp factory streetfighter with tri-spoke mag wheels and bug-eye double headlamps reminiscent of the streetfighters in Andy Sparrow’s Bloodrunners comics. 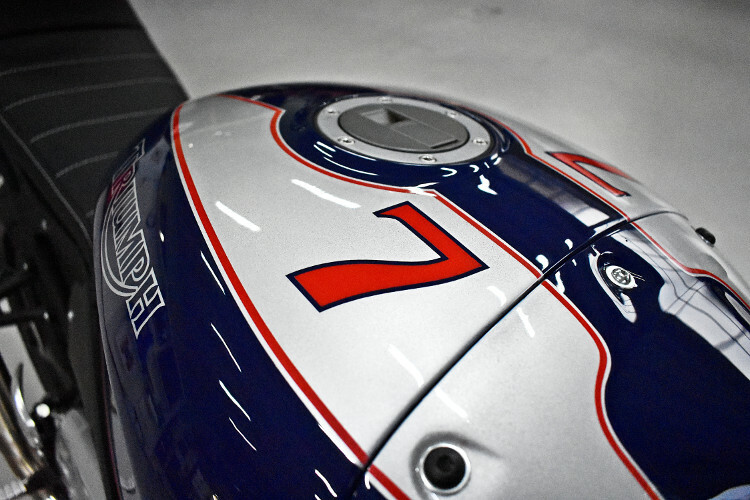 Enter Riccardo Casarini of Italy’s Ludwig, who grew up restoring racing cars in his family’s workshop in the Oltrepò Pavese region. Later, he earned a philosophy degree with a thesis on the “aesthetics of speed” (our kind of guy!) 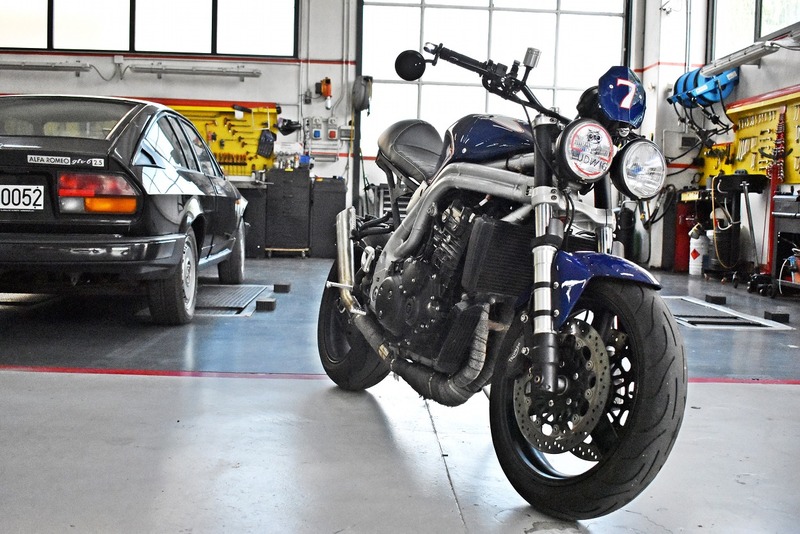 and worked in the Poblenou district of Barcelona — the highest concentration of custom garages in Catalonia. 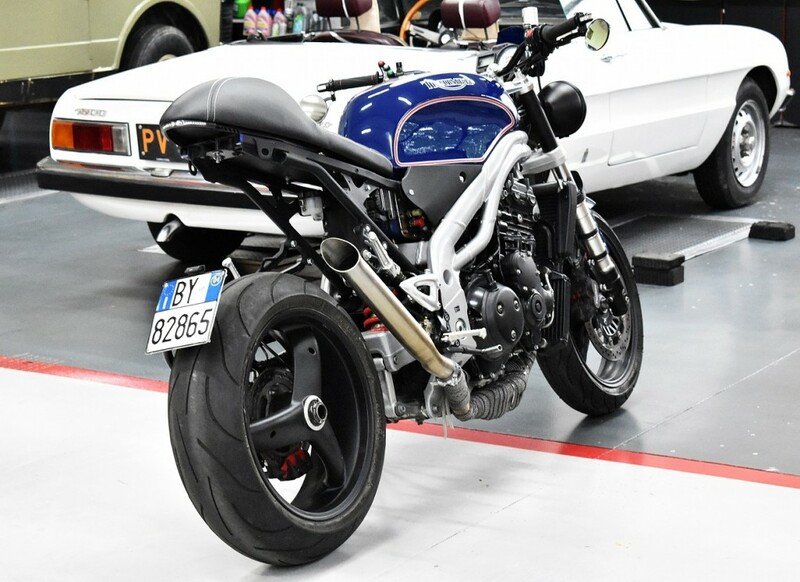 Upon his return to Italy, he founded Ludwig, out of which he’s turned a series of stunning customs including a Gilera Nordwest 350, Aprilia Pegaso 650 Cube, and Yamaha MT-03. 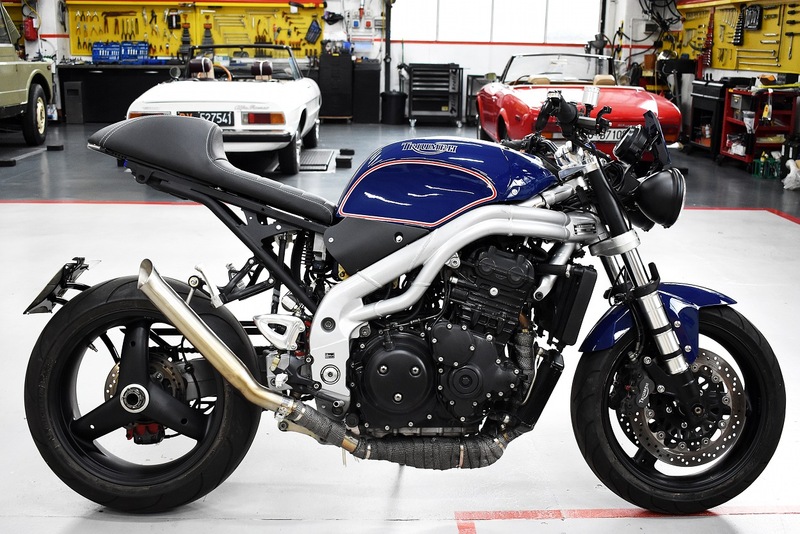 Now he’s turned his hand to this 2004 Triumph Speed Triple, aka Ludwig “Libellula” (Dragonfly). 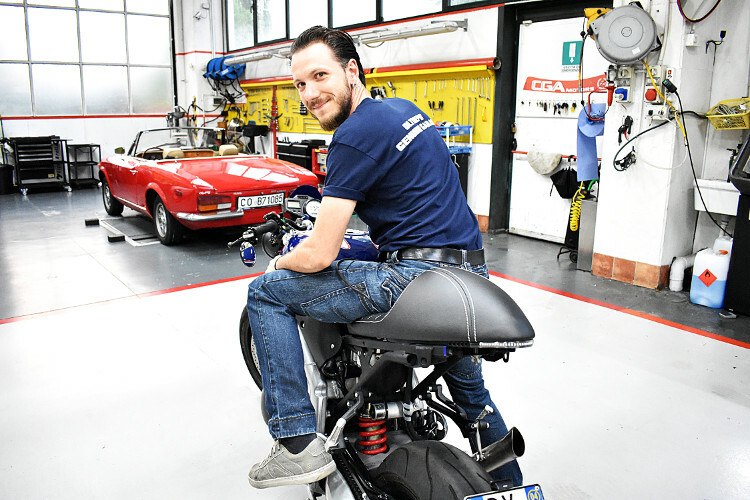 The customer had a clear vision for the bike, which Riccardo helped achieve while adding his own personal touches along the way. 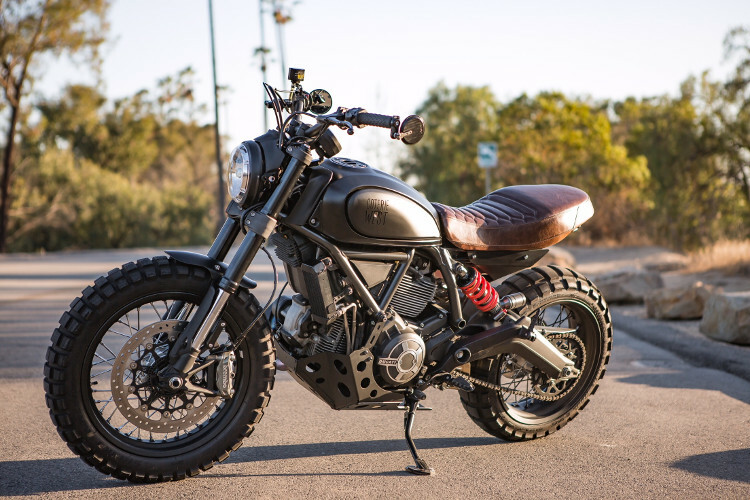 There are an array of well-planned, subtle details — from the electronics access to weight distribution to hybridization of parts from a decade’s worth of Speed Triple models. Then there’s the gorgeous 1967 Ferrari GT 265 paint with airbrushed details. 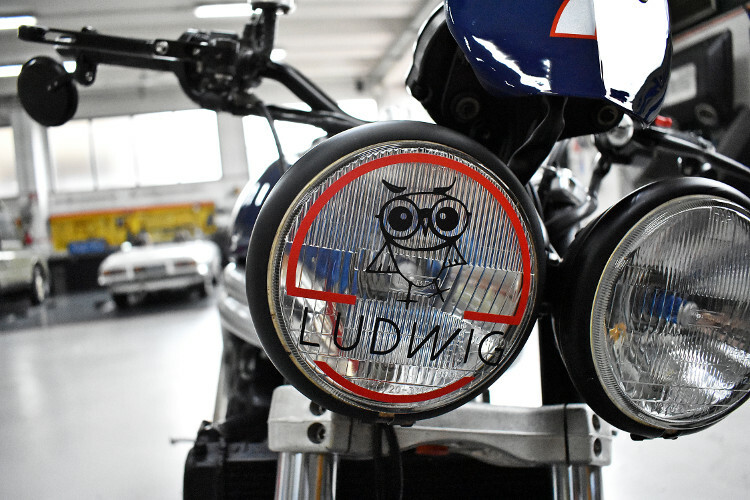 We’ve called it Ludwig “Libellula”. In Italian, the word means “dragonfly” — we named it this because the shape is robust and large in the front, but slim and sharp in the rear side, like this flying bug. It was commission by a client who had a lot of precise ideas about the final result. My work was to help him choose the best solutions, put my personal touch in all of the details, and make her dream come true. 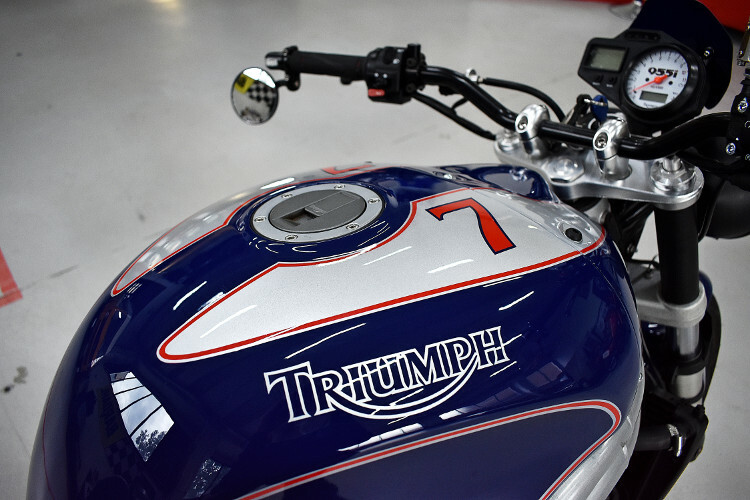 The donor bike is a Triumph Speed Triple 2004. 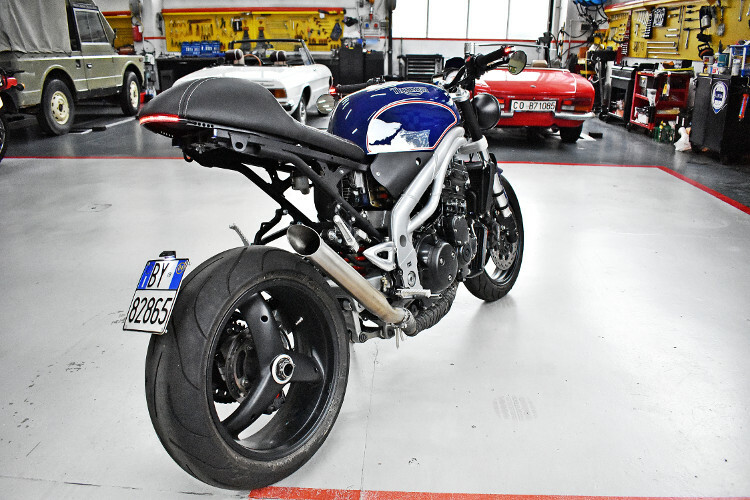 We’ve created a crossover between different models of Speed Triple, using the rear frame of a M.Y 2008, the tank of M.Y. 1998, aftermarket parts modified/readjusted and some handmade parts. 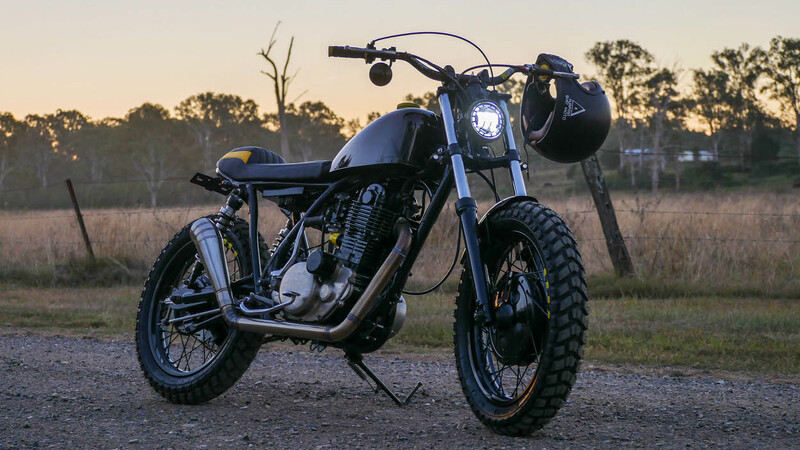 The new black handlebar is higher than the original and hosts the turn signal wiring (mounted at the handlebar extremity). 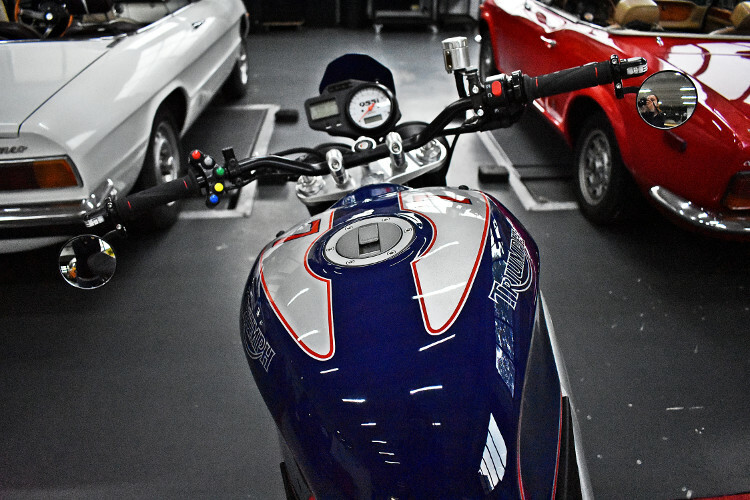 I’ve also mounted rear mirrors in neo-caferacer style and a new command that permits the rider to change the ECU maps from “normal” to “racing”. 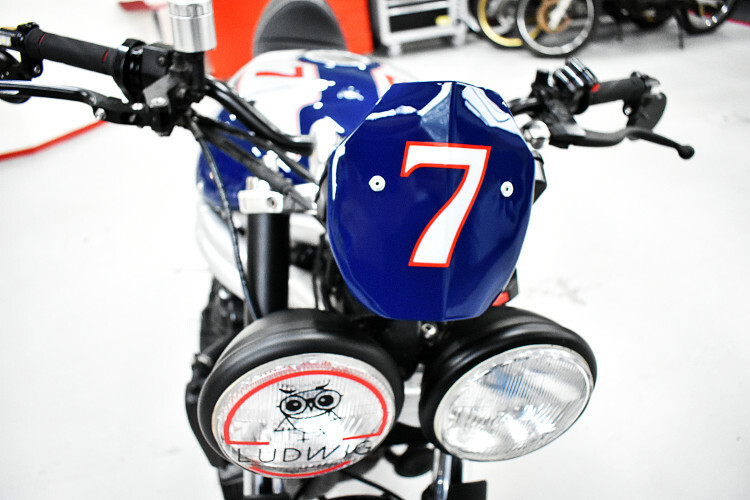 The original chromed lights are now painted in opaque black, and the front number plate is handmade in aluminum. 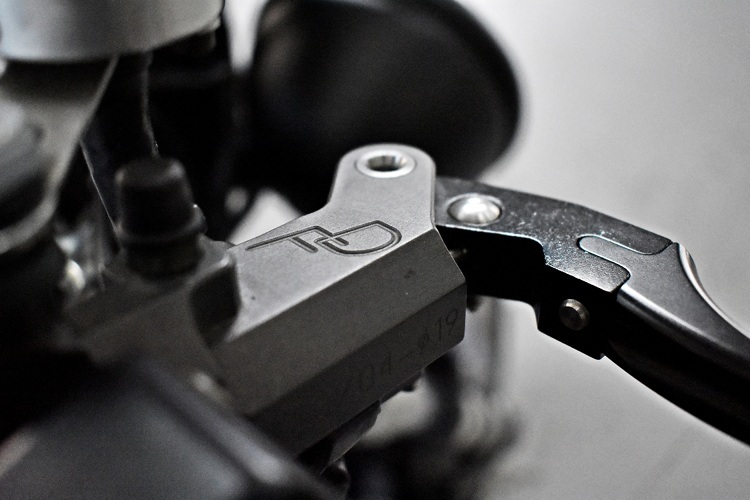 Than I’ve mounted a new radial brake pump that certainly offer better performance: Discacciati 19mm. During the tank’s substitution, I’ moved the battery from the rear frame and I put it down the tank with a specific handmade support, so now you can remove the front cover of the new tank (you can’t do it with the M.Y. 2004, that is a unique piece) and change the battery easily. 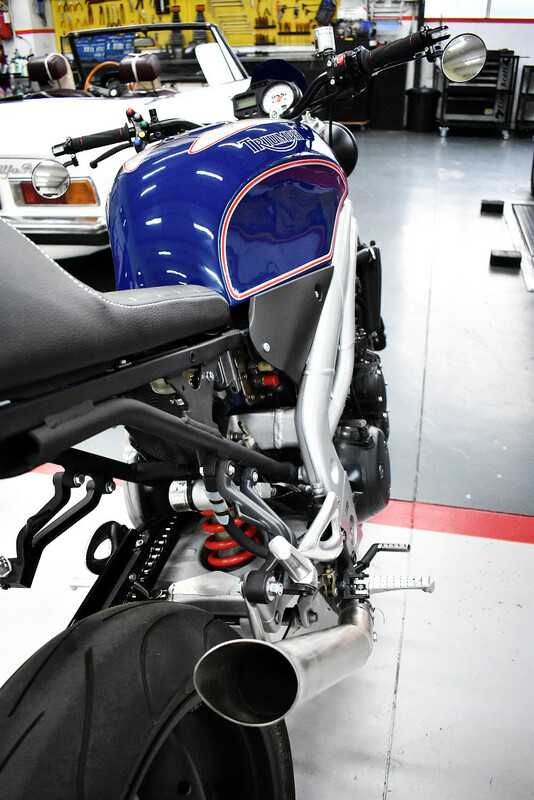 The airbox was changed with three handmade intake stacks and three conic filters. 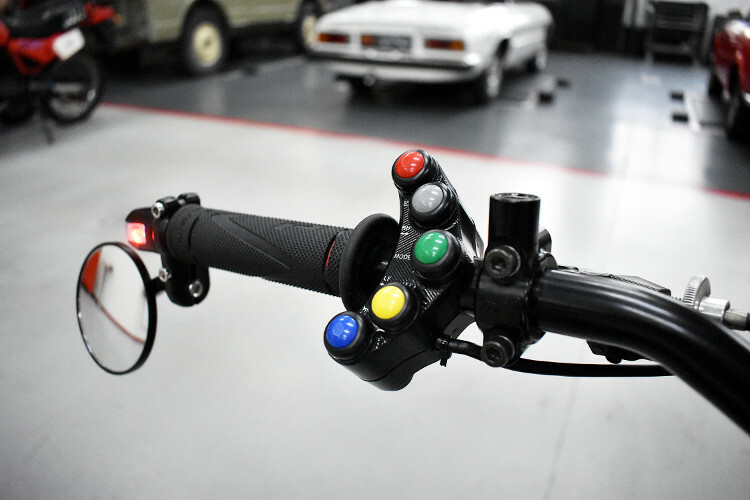 The wiring is grouped, and it’s now possible to change the fuses or connect the OBD by simply removing the black side cover between tank and frame. 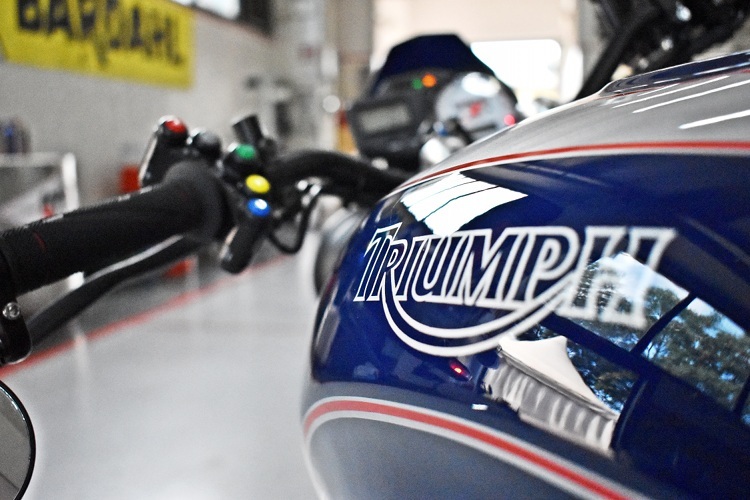 Generally the weight distribution is concentrated to the center of the bike, and the rear frame just host the vessels of water and rear brake liquid. 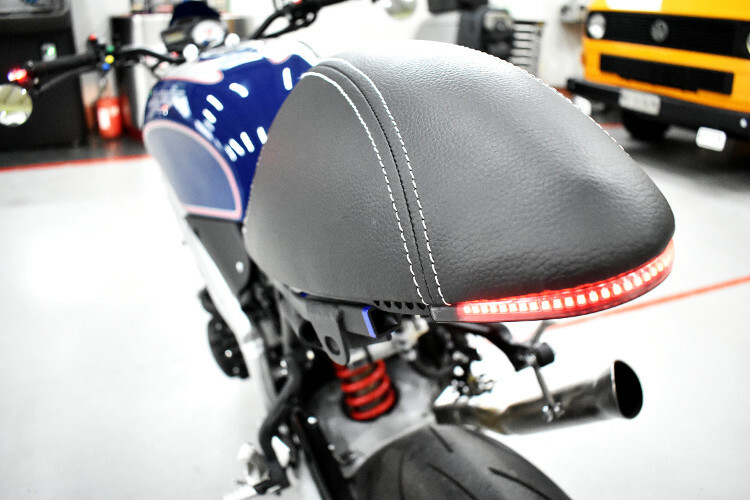 The seat is an aftermarket part in leather mounted on a handmade steel support for fast removal, with an LED signal integrated. 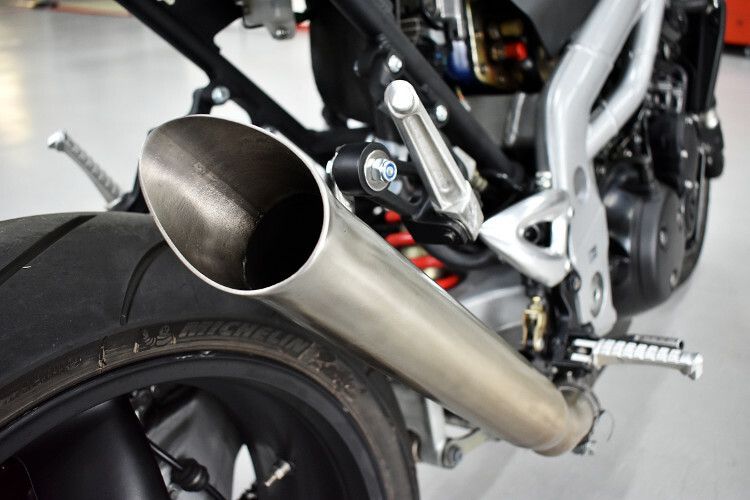 I’ve also built the exhaust using steel with brush finishing, made the terminal hole with an “exploded effect”. 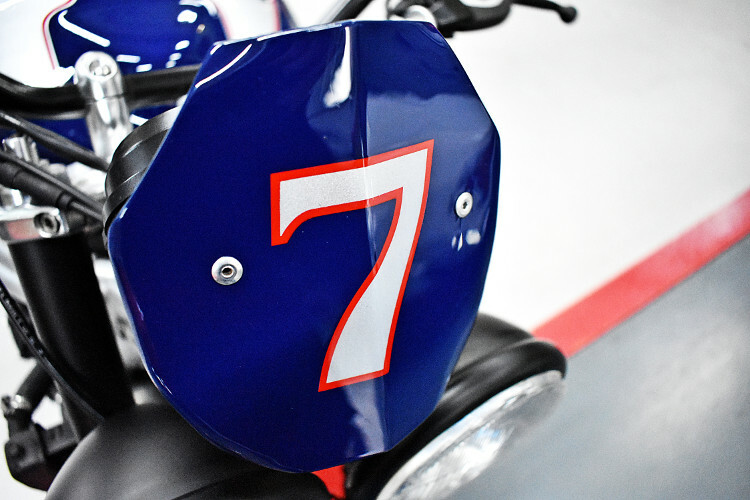 The colours: we’ve chosen the same blue of the Ferrari GT 265 ’67 and painted the details with airbrush, looking for an elegant touch in a motorcycle with street-racing soul. 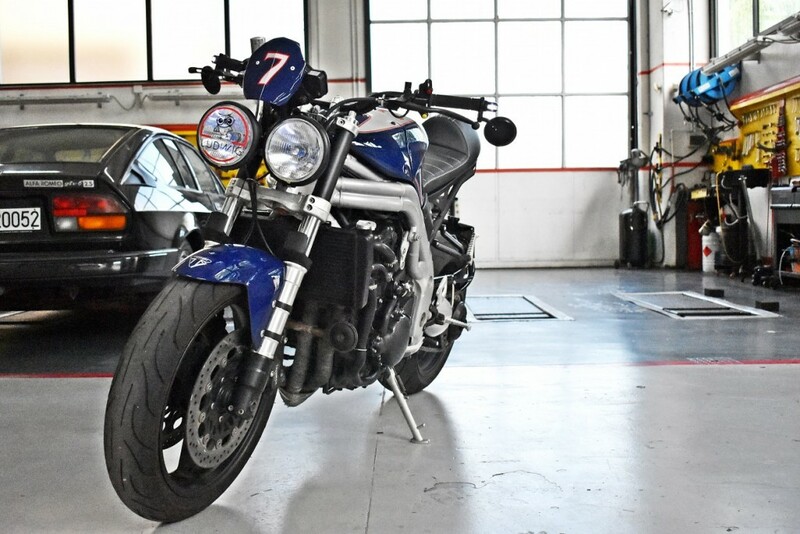 Now the owner can have fun with her new bike, going up and down “our hills”, or maybe cross the mountains passes and reaching the Ligurian sea.